"Things Were Happening to Her"
Emily Gould's tribute to friendship. In a much-quoted line from the pilot episode of HBO's Girls, 24-year-old Hannah Horvath tells her parents, "I think I may be the voice of my generation. Or at least a voice. Of a generation." The line is delivered with tongue firmly planted in cheek, as Lena Dunham—the show's creator and star—is often called the voice of her generation. The show follows Hannah and her friends, who, having finished college, are now killing time while they wait for their best life to materialize (because that's what their parents said would happen). They don't think too hard about sexuality and commitment being linked. They're pretty sure their specialness will carry them through to the next act, whatever that might involve. 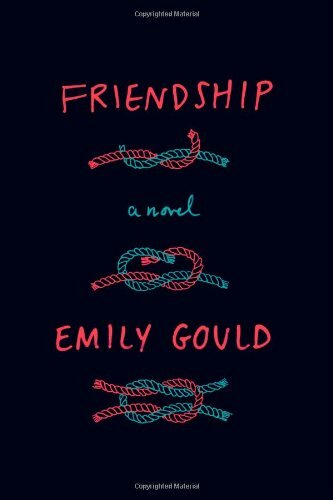 Bev Tunney and Amy Schein, the pair of thirtyish friends at the center of Emily Gould's debut novel Friendship, offer some clues as to what lies ahead for Hannah and her cohort. Whereas Dunham's girls are only beginning to sense their jetpacks may just be knapsacks, Gould's are firmly aware of it, having already weathered cockeyed career moves, failed relationships, and aborted runs at graduate school.